Australian security and defence experts now grudgingly acknowledge that the world has never been so uncertain strategically since the end of World War II. What’s not as widely acknowledged is that our major security ally, the United States, has drastically reduced its military capability. In the absolute best case, it will take a decade for the US to regain its military strength. Its ability to come to the rescue of all of its allies, as it could until the end of the Cold War, no longer exists. New regional threats and weak allies—a dramatic change indeed for the Australian defence and security environment. Australia’s implied national security strategy has been to support allies so that, in some unspecified future crisis, they might support us. That approach is demonstrably inadequate. We must prepare ourselves for the possibility of conflict. In many ways the nation is in denial, but, to its credit, the Coalition government is leading and has embarked on the largest peacetime rearmament program in the nation’s history, worth some $200 billion over the next decade. But how do we know if that’s too much or too little, and if it will produce a national capability that can deter conflict against Australia by being able to win? As our F-35 joint strike fighters arrive at RAAF Base Williamtown and join other recent military procurements, the biggest need now is for Australia to state its national security strategy, something far wider than just defence. Defence is not the province of the military alone—it is a whole-of-nation obligation led by the government. Australia must be strong and every nation must know it. What good are 72 magnificent joint strike fighters if we don’t have the required infrastructure, spare parts, liquid fuel, industrial base, contingency plans, political leadership, national resolve and support from the nation? Last week the ABC ran a story  claiming there were significant problems with Australia’s future submarines, a key part of that rearmament program. It suggested, on the basis of leaks from the Department of Defence, that the submarines would likely arrive late and cost more than anticipated. The claims have been emphatically denied  by the defence minister. This particular case illustrates a problem with how parliamentary oversight of defence is handled in Australia. As things currently stand, decisions of national importance are made behind closed doors. The public, and even parliamentarians, must rely on promotional releases or leaked details for information about major programs. Naturally, there are many good reasons for secrecy. But secrecy doesn’t have to take precedence over accountability and good standards of governance. Last month, as chair of the defence sub-committee of the Joint Standing Committee on Foreign Affairs, Defence and Trade, I tabled a report  in the Senate titled Contestability and consensus: a bipartisan approach to more effective parliamentary engagement with Defence. Based on the bipartisan judgement that the sub-committee cannot do its job as it is currently structured, the report recommended the establishment of a new statutory committee with an exclusive focus on defence—a joint parliamentary committee on defence. Based in particular on the Parliamentary Joint Committee on Intelligence and Security (PJCIS), the proposed committee would have the ability to review defence planning, strategy development, administration and expenditure on behalf of the parliament after a referral by the minister or the parliament, and would have access to classified information from the Defence Department and other security agencies for reviewing purposes. This might sound all very bureaucratic and ‘inside the Beltway’, but it is sensible and critically important. The problem is that on the major issues of defence which parliament should have oversight of, the sub-committee is impotent because it cannot receive classified information. And anything worth knowing in defence is classified. This would be a major reform and would focus defence issues, particularly national security strategy, within the parliament where it should be. The PJCIS as a point of comparison may not be perfect, but it is valued and functional; I am also a member of that committee and I see its benefit. Why is it that intelligence and security are considered more worthy of effective parliamentary oversight than is defence? Those days have passed. Strategy should be its focus because nothing is more important than strategy. In the absence of a national security strategy, the sub-committee at its last meeting has resolved that, regardless of who is in government, its task during 2019 will be to hold an inquiry into the need for a national security strategy. The sub-committee can do this sub-optimally by using unclassified sources such as think tanks and academia. But imagine how much more effective parliament could be if it could also receive classified information from officials. With effective oversight, the parliament and the nation would not have to rely on leaked, potentially sensitive, details to the media. Points of contention could be debated while maintaining the appropriate level of secrecy about sensitive programs. And, perhaps most importantly, such a parliamentary committee could assist in bringing the nation to a realisation of the relative importance of defence and security, compared with other demands on the nation’s purse and attention. 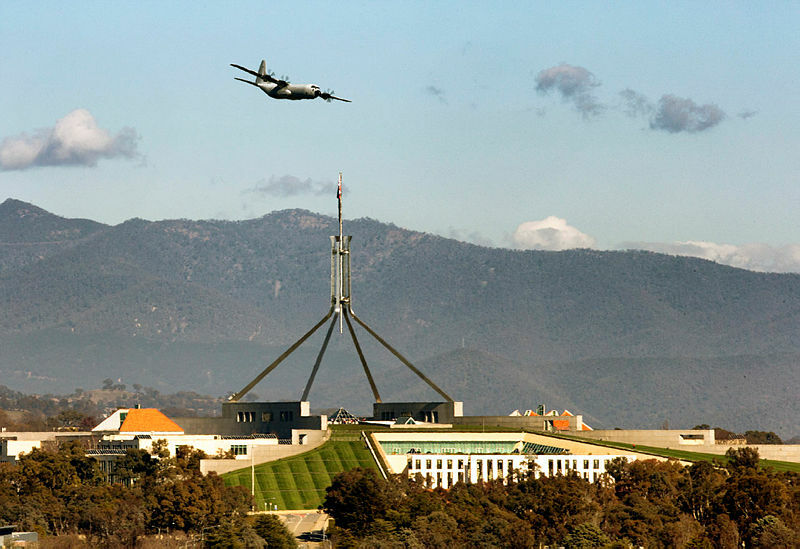 A good government that runs the largest rearmament program in Australia’s peacetime history may not see the need for more oversight or for stressing the strategic environment in the run-up to the next election. But those of us who were in the Defence Department in 2007 remember that the last major investment in defence under the Howard government that tried to overcome years of neglect was blown away by an incoming government that placed no importance on defence expenditure compared with pink batts, school halls and increased welfare, and ran down defence to historically low levels. We may have been able to survive that in 2007, but the world has changed dangerously and parliament and governments must carry the people with them.